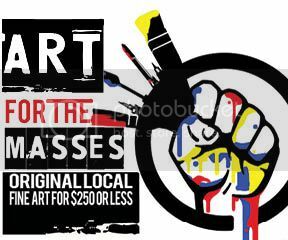 Art for the Masses is a community tradition of making original art accessible to all. On display at the Burney and Warwick Centers at UNCW, the event features work from more than 90 Cape Fear area artists, who retain 100% of the proceeds from sales. PLEASE NOTE: While Art for the Masses is free and open to the public, there is a requested door donation to help fund public arts projects at the university.